Recorded in 1989 in Jerusalem, featuring Mika Markovich on drums, Victor Fonarev on bass, and Uri Abramowich voice. 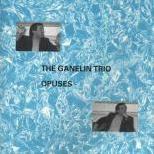 There is no question that Ganelin's music moved to a new territory after his departure from the USSR. He is in a more relaxed and contemplative mood, the music flows like a slow, reflective river journey. However, there are as many brilliant touches as before.